The seeds are coming home to us, the indigenous people of North America. 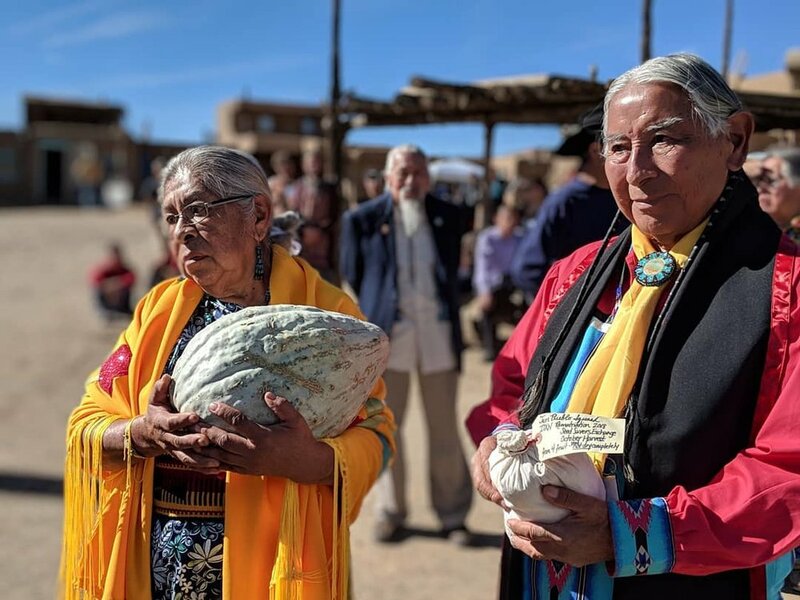 Across Turtle Island—or North America—there is a growing intergenerational movement of indigenous people proud to carry the message of the grand rematriation of seeds and foods back into our indigenous communities. Some of these seeds have been missing from our communities for centuries, even after having been carried on long journeys in smokey buckskin pouches upon the necks of peoples who were forced to relocate from the land of their births, their ancestral grounds. Generations later, these seeds are now coming back home. From the vaults of public institutions, seed banks, universities, and seedkeeper collections—and even the dusty pantry shelves of foresighted elders—seeds long sleeping and dreaming are finding loving hands to place them into welcoming soil once more so that they can fulfill their original agreement to help feed the people. In the indigenous seed-sovereignty movement, we have begun to use the word “rematriation” as it relates to bringing our seeds home again. In many communities, including my own Mohawk tradition, the responsibility of caring for the seeds over the generations is ultimately within the women’s realm. Both men and women farm and plant seeds, but their care and stewardship are part of the women’s bundle of responsibility. So the word “rematriation” reflects the restoration of the feminine seeds back into their communities of origin. It simply means back to Mother Earth, a return to our origins, to life and co-creation, a reclamation of the life-giving force of the Divine Feminine. There’s no denying the powerful healing work of reconciliation that occurs when we work cross-culturally to bring these seeds home to their communities of origin. There’s no denying the powerful healing work of reconciliation that occurs when we work cross-culturally to bring these seeds home to their communities of origin. Within the Indigenous Seed Keepers Network, we are assisting communities that are working towards rematriation of their precious seed relatives. 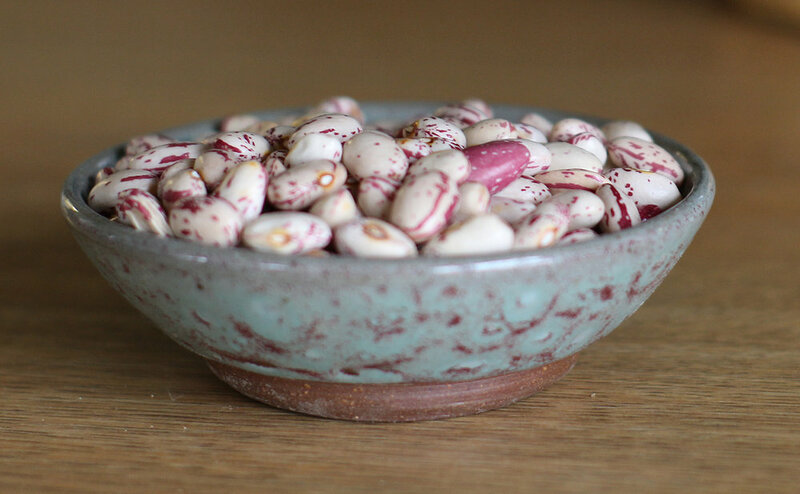 We are working cross-culturally with many stakeholders— including native farmers, gardeners, and representatives from tribal communities, institutions, and organizations who have such seed collections—to lay out how best to help these seeds find their way home. This complex, yet healing, work has deeply embedded cultural and spiritual aspects, as well as legal and political aspects that directly address seed justice. Rowen White (fifth from right) gathers with Seed Savers Exchange staff and fellow ISKN members in the cornfields at Heritage Farm this summer. This past year, ISKN initiated a relationship with one of the largest public-access heritage seed banks in the world, Seed Savers Exchange. Working cooperatively with SSE, we identified hundreds (potentially thousands) of varieties within their seed collection that have origins within tribal communities in North America. During the winter of 2018, the Native American Food Sovereignty Alliance and SSE established an agreement to collaborate on a “seed-rematriation” project, where we would sponsor the rematriation process of 25 native varieties of corn, beans, and squash back to tribal communities. As a part of this process, we have joined forces with a focus group of native farmers and seed keepers—as well as other stakeholders from similar seed-rematriation projects happening with regional seed banks, museums, and universities—to develop a shared-action framework and best-practice guidelines for other communities wishing to engage in the seed-rematriation process. We gathered for two days at the Seed Savers Exchange Heritage Farm in Decorah, Iowa, in late July 2018. Some 18 participants from communities based in the Northeast and Upper Midwest convened to discuss protocols and guidelines for seed rematriation, as well as visit the fields where the 25 seed-crop varieties were regenerated for rematriation this fall. (The 25 varieties encompass 14 different bean varieties, six corn varieties, four squash varieties, and one tomato variety.) It was a very heartfelt gathering, where we shared many ideas and thoughts and reflections on the seed rematriation process. Seed rematriation is deep and multi-layered, encompassing spiritual, emotional, practical, scientific, legal, and political realms. As we carry these sacred bundles of our seed relatives home to their mother communities, we reawaken time-honored relationships once again with our own beloved Mother Earth. Working collaboratively with Seed Savers Exchange has been very inspirational as well as mutually beneficial. A nonnative organization, SSE has displayed incredible respect and willingness to allow native leadership in this process, setting a wonderful precedent for other seed banks and nonprofit organizations to work respectfully and collaboratively with native communities in the process of reclaiming traditional seeds. Seed Savers Exchange is sharing its comprehensive seed-banking methods with seed keepers from native communities who wish to establish seed banks/libraries in their own communities, as well as protocols and methods for seed-history and cultural memory documentation, and critical methods for seed storage. In turn, ISKN and our circle of seed keepers have helped inform SSE how we view these seeds as part of our cosmology, offer a wider perspective outside the western scientific view of seeds, and advise how to move forward in culturally appropriate ways to honor not only the seeds but also the communities of origin. We have cultivated mutual respect and benefit, as well as built trust to ensure that our beloved and sacred traditional seeds are returned to our communities with honor and dignity. This year ISKN is rematriating seeds back to communities of the following tribes: Mohawk, Seneca and other Haudenosaunee, Odawa, Ojibwe, Taos Pueblo, Cherokee, Arikara, Mandan, Hidatsa, Stockbridge Munsee, Pawnee, Kickapoo, and Narragansett. As we rematriate these seeds, we are seeking support and funding to continue this collaborative project into future seasons and assist other groups and communities in this work. Part of this rematration path, of finding our seed relatives and carrying them home, is reawakening the intertwined harmonies of seed songs of our ancestors, ourselves, and those yet to come. Whatever it takes, we must continue to carry our ancestors’ greatness into tomorrow, and our seeds are one of their precious gifts for us in this day. Inside those seeds, our ancestors’ prayers are still protecting us as we welcome the seeds home to feed our children. I am thankful to have met so many amazing indigenous farmers and gardeners who are joining this seed revolution and bringing our seeds home: Pawnee seed keepers bringing home seeds to ancestral soil, working hand-in-hand with settler descendants in a grand act of reconciliation to keep the seeds alive; Ponca farmers planting red corn in ancestral fields for the first time in 167 years since relocation; Mohawk farmers working in collaboration with farmers of many settler descendants to rematriate traditional seeds to ancestral farming grounds; and caretakers of the heirloom beans and corn emerging from museums and seed banks to the loving, calloused hands of native peoples, who see these seeds and foods as treasured relatives. These seeds help hydrate the stories that make up the constellation of indigenous people and seed keepers, all resilient and tenacious survivors. Just like our seeds, we have overcome much adversity. Yes, the seeds are coming home to us. And they are helping us to heal.